Spring has arrived! The Meadowlarks have returned and have announced the beginning of a new season with their wonderful song. They are so proud, standing tall, bright yellow chests sticking out, proclaiming their love with song. Ok, Ok, maybe they are just horny birds but “proclaiming their love” does sound more romantic. 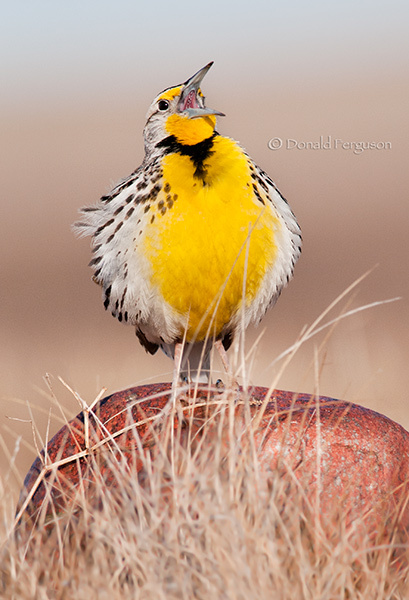 Regardless of their intentions, the song of the Western Meadowlark is definitely one of the highlights of spring on the prairies.